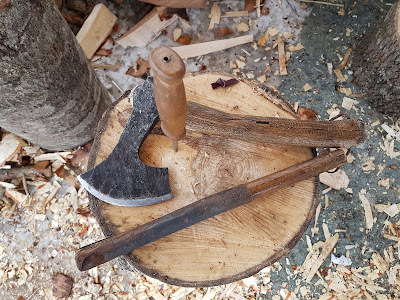 As mentioned before; we'll be popping up here and there at interesting events during 2019. This will be an inspiring way for us to share Bushcraft knowledge as well as promoting the upcoming festival in Gottröra 2020 - Bushcraftfestivalen 2020. First out is an appearance at Explore 2019 in Älvsjö Stockholm Sweden March 22nd-24th. 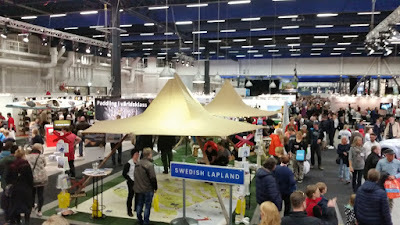 Explore (former Vildmarksmässan) is an event with a long history; they've been around now for over 30 years. 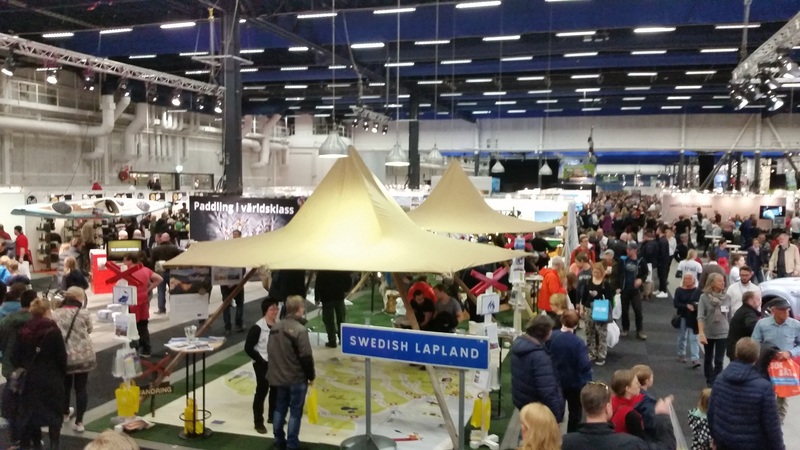 Most of us have attended a number of times trough the years and we are almost certain that you also have a couple of nice memories from this original Swedish outdoor fair. 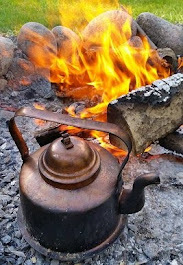 We're very happy that Explore acknowledge the current inspiring Bushcraft trend. This is the second year that the fair arranges a big Bushcraft area at Explore. 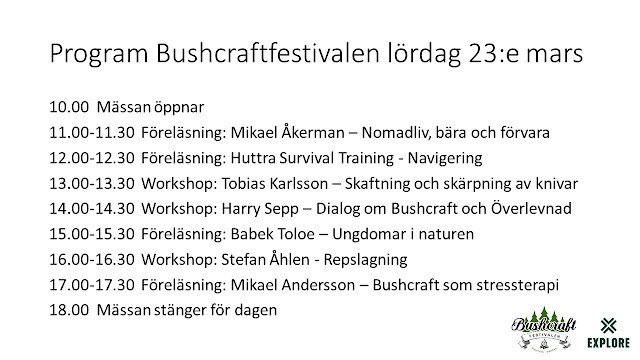 This year Bushcraftfestivalen have the pleasure of hosting the Bushcraft area at Explore. 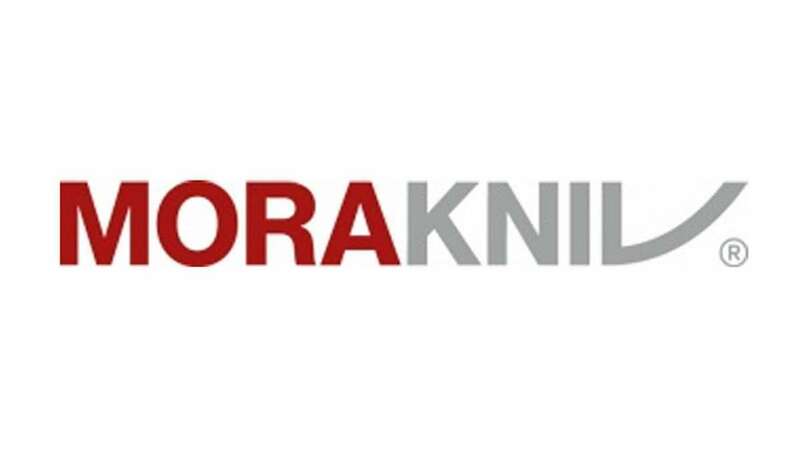 The Speakers and Workshops will soon be presented more into depth here on the website and in our social medias. Also visit Explore's website for more information, see link below. Below you also can see the bushcraft area program for the weekend. We hope to meet you at Explore 2019! You are welcome to hang with us all in the Bushcraft community and together we can welcome all visitors that are new to the art of Bushcraft, Woodcraft, Woodlore and Wilderness skills. Follow this event on Facebook, click HERE. Visit the Explore website for more information and tickets; click HERE.